In 1929, Letty and Cordelia escaped their small town for New York City, for their own separate goals. But Letty soon finds that the city is full of girls like her who will do anything to be a star, and she's not sure if she would do the same. When Cordelia finds her father, he turns out to be as famous for his parties as his murky schemes, and she's instantly launched into a life of glamor. There she meets Astrid, a flapper who seems to have it all - including her own dark secrets. The three girls struggle to "make it," but the dangers it brings threatens them all. 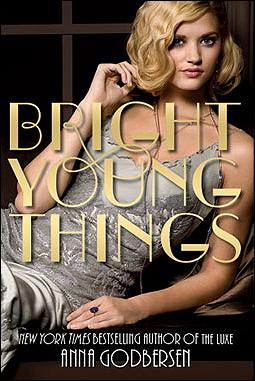 Bright Young Things explores a period in time rarely touched upon by other historical fiction novels and introduces a fascinating world of thrills and glamor with the flappers and socialites of the Roaring Twenties. The setting in this book, depicted vividly by Godberson, is as intriguing as the plot line and worth picking up for that alone. However, the first portion of the novel is devoted largely to development of the setting and characters, which somewhat drags the pacing and may not capture attention as well as it could. By the middle and end, though, the plot picks up significantly and Godberson showcases her abilities to weave a tantalizing tale that is nearly impossible to set down and in which a reader can easily become absorbed. But although the story becomes engrossing, some actions of the characters feel unrealistic. Letty and Cordelia have a major fight over a small issue and refuse to reconcile for much of the book, which seemed rather overblown. 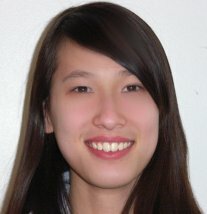 Additionally, Cordelia's father accepted her swiftly and seemingly without pause into the family in a manner that was all too easy and seamless. These issues, along with the initial slow pacing, may throw some off and detract from the reading experience. Despite this, the rich, original setting of the late 1920s and gripping nature of the latter half of the novel make for an "un-put-down-able" read, and the ending will leave readers wanting to pick up the following books in the series right away. Bright Young Things is a novel that will appeal to both fans and haters of historical fiction. I give this book 3 stars (of a possible 5).